Theunis de Bruyn strengthened his bid for the No 4 spot in the Proteas lineup with his eighth first-class century as the Knights dominated the Cobras in the Sunfoil Series. JP Duminy’s retirement has left a vacancy in the Proteas batting order, which needs immediate filling for the Bangladesh Tests, starting on 28 September. 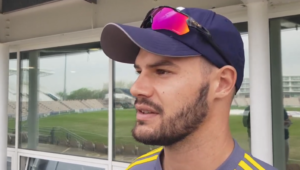 With Markram laying his claim for the Proteas‘ opening spot with a century in his captaincy debut on Tuesday, De Bruyn too had his say, falling just five runs short of a double century against the Cobras. 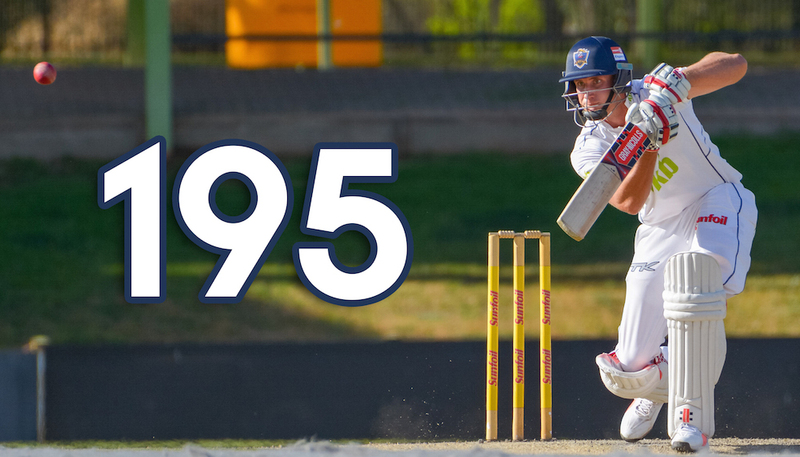 Coming in at No 3, with the Knights down at 30-1, the Bloem franchise’s captain anchored his side’s innings to guide them to 180-1 on day one, after their bowlers skittled the Cobras for 159. De Bruyn (81 off 106 balls) continued his fine form on day two to reach his ton in only 144 balls. In his 195, he faced 259 balls and hit 24 fours and a six, finally caught by Hashim Amla off Justin Ontong. Former Cobras batsman Keegan Petersen had earlier taken his overnight score of 70 to 141, off 283 balls, sharing a 295-run stand with De Bruyn. David Miller was next to go for 39, just 13 runs later as the Knights were stalled at 413-4. Rudi Second (65) and Werner Coetsee (70) took over and shared a fifth-wicket stand 138 to take the Knights to 551-4 at stumps on day two, leaving the visitors with a mountain to climb.